We are located in Fort Worth, TX and happily offer service locations in Grand Prairie, TX, and Arlington, TX as well as the greater Metroplex area. 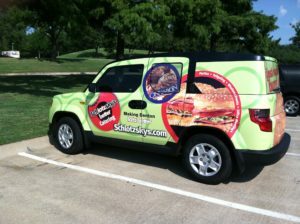 If you’re in the DFW Metroplex and can make it to our shop, we will gladly wrap your vehicle! Please give Metroplex Wraps a call today at 817-997-4431! Updated on September 19, 2018 at 9:09 pm by Metroplex Wraps.